Home / Wedding Rings / Men's wedding rings / “Unity” Rose gold, Carré diamond wedding bands. “Unity” Rose gold, Carré diamond wedding bands. 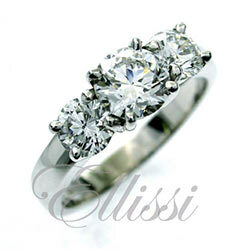 A very special ladies wedding ring, not so commonly seen. Made in 18 ct. white gold, it is channel set with a double mille grain rim. The diamonds set in this band are Carré cut squares. This is the perfect diamond type for those who have emerald cut or baguette diamonds in the engagement ring: a simple elegant style. The gents ring below is a combination of white and rose gold, again this is a less common combination, rose gold being an alloy of pure gold and copper, giving it a brownish red colour. “Ripple” for men. Hammer finish wedding ring. “Mellow yellow” matching wedding rings. “Storm” brush finish male wedding band.